CLICK HERE TO RESERVE A BOOTH! 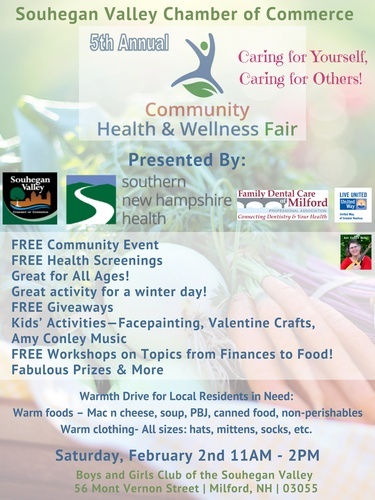 Thank you to our additional sponsors: Family Dental Care of Milford, United Way of Greater Nashua and Amy Conley Music. Great activity for a winter day!